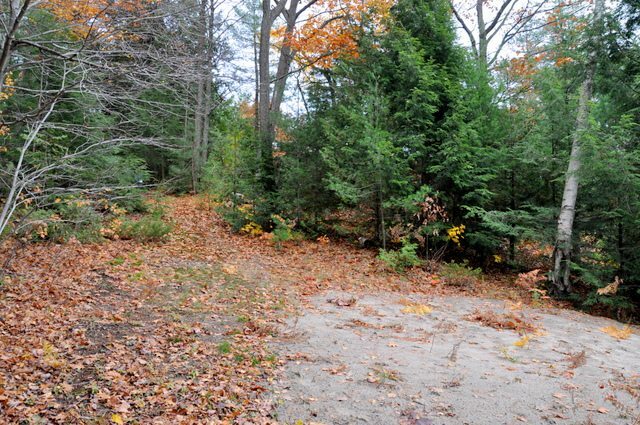 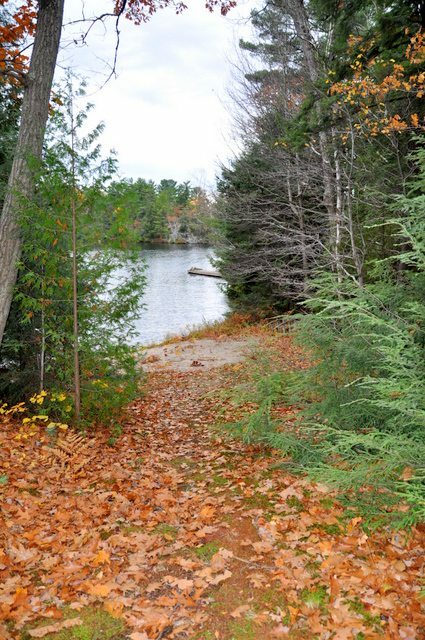 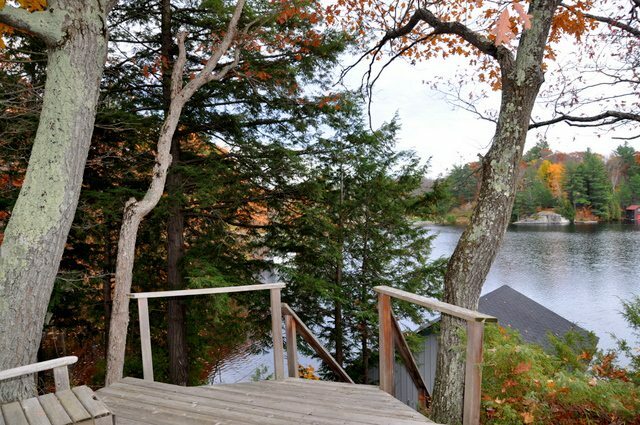 This beautiful 5 bedroom property is located on 10 acres of land, nestled in lush privacy, perched above the clear waters of Otter Lake. 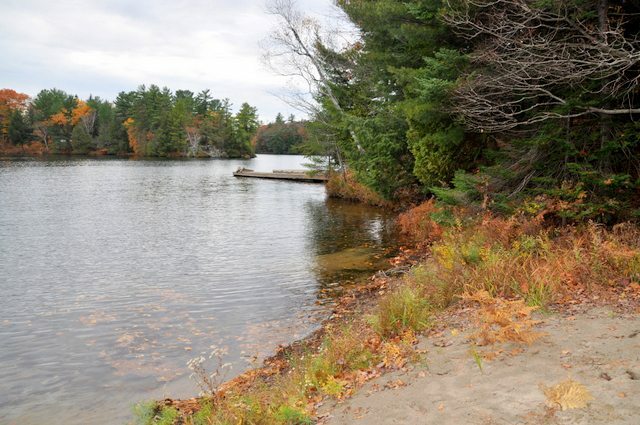 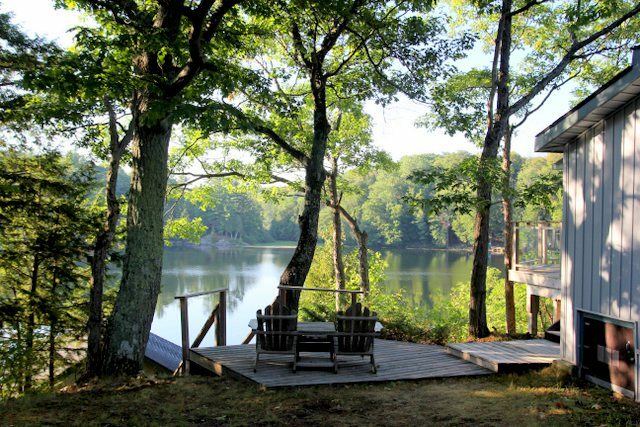 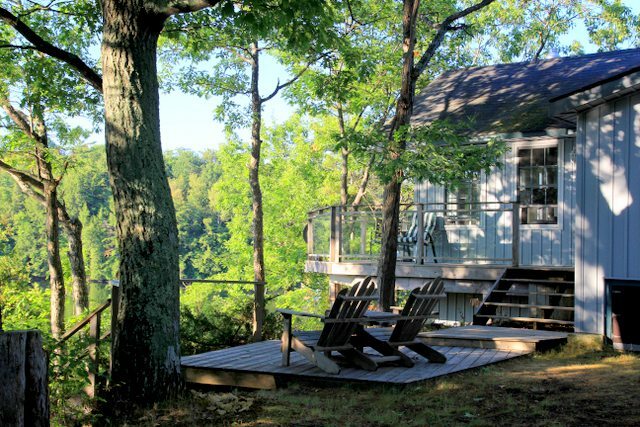 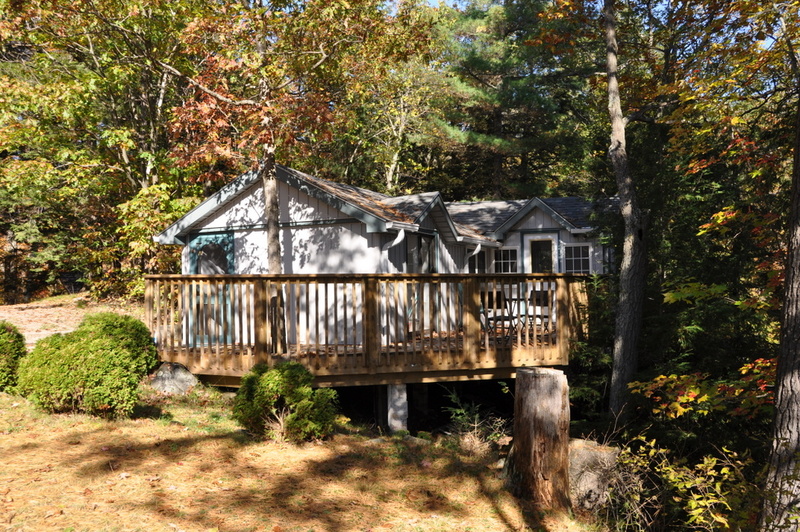 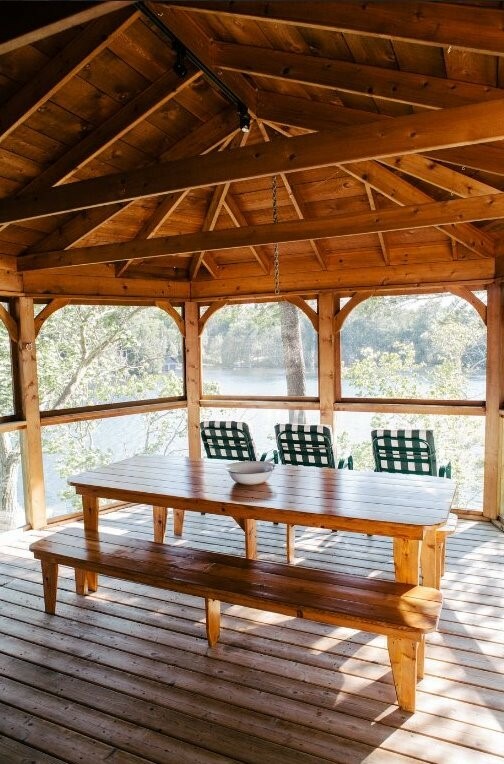 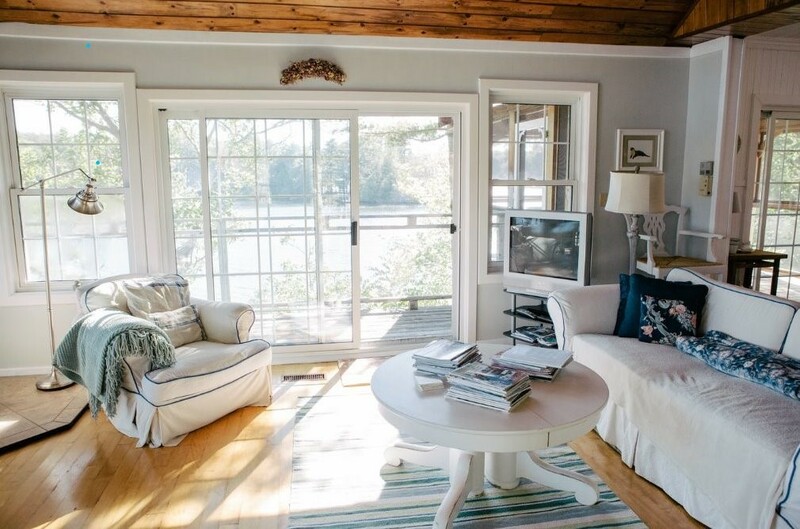 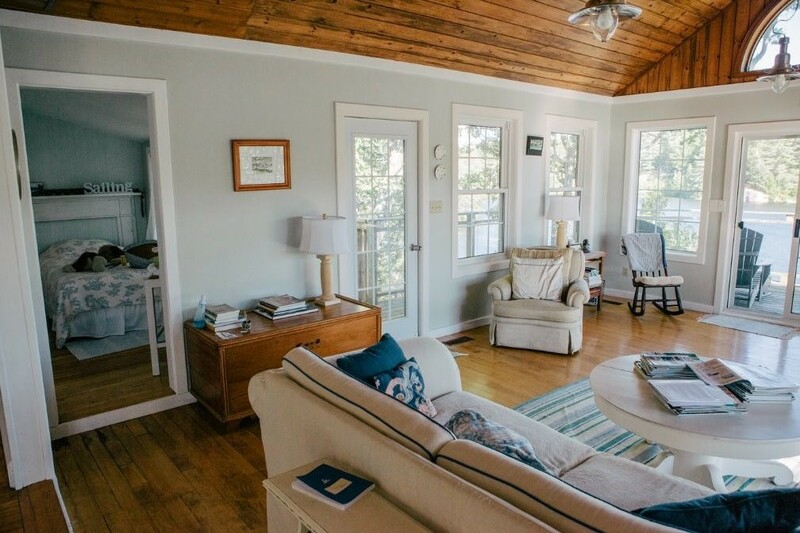 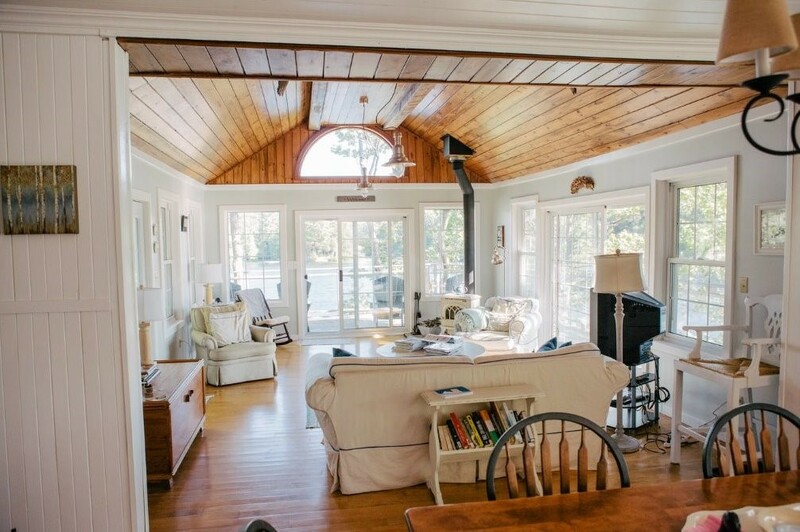 The main cottage, along with the separate bunkie and boat house, sit at the tip of this expansive point of land overlooking 500 feet of water frontage. 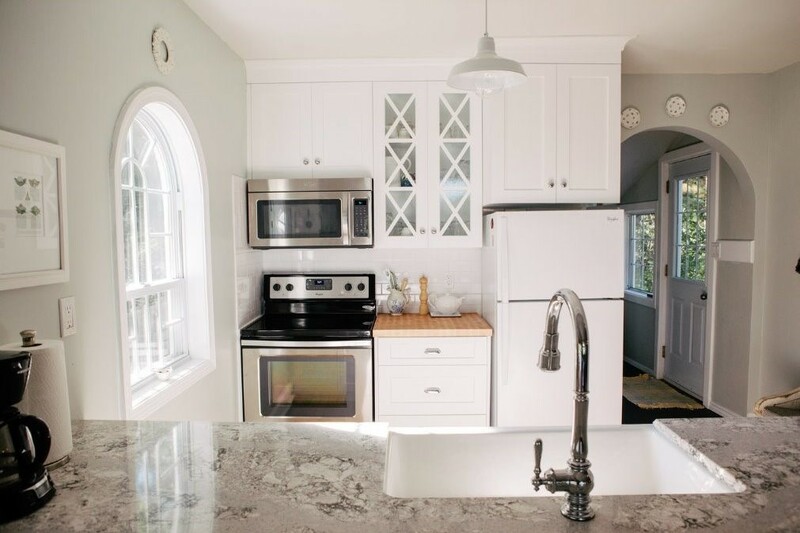 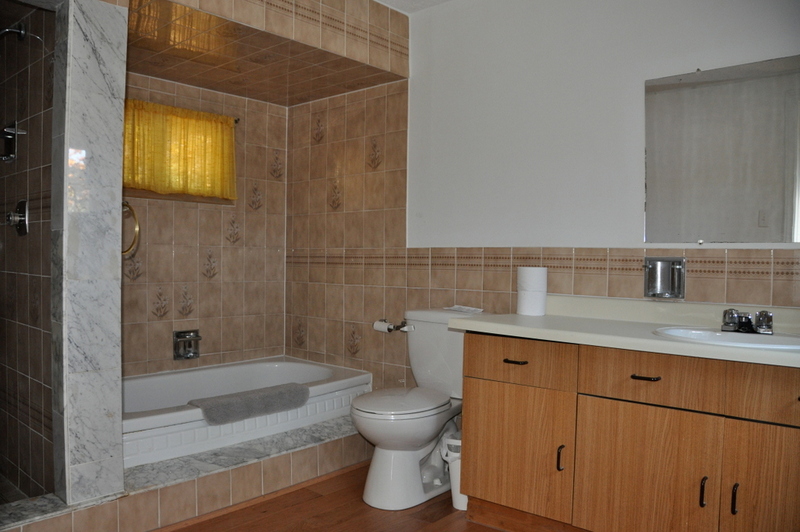 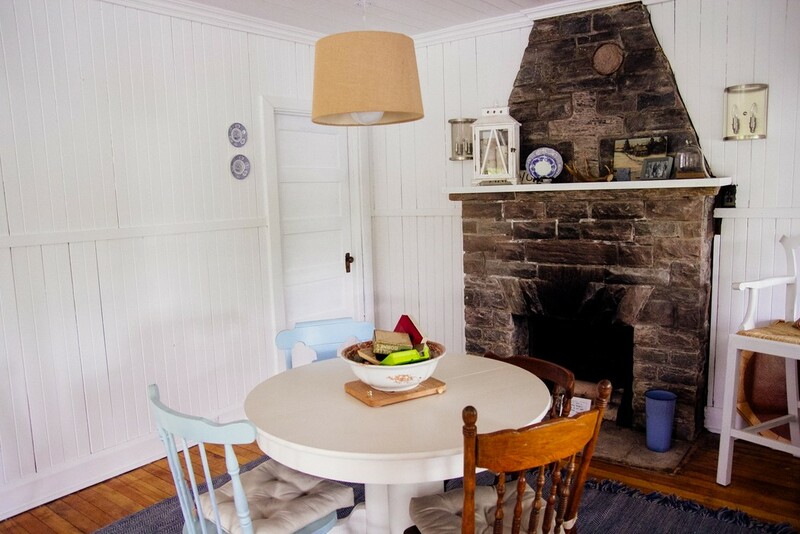 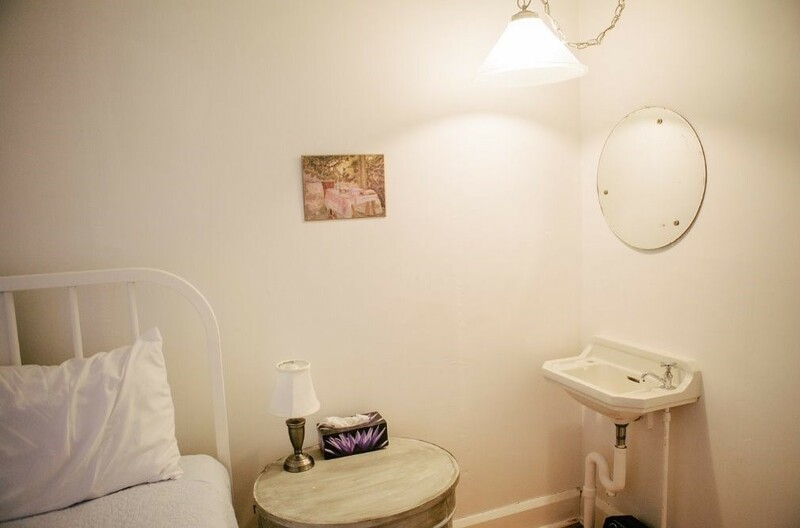 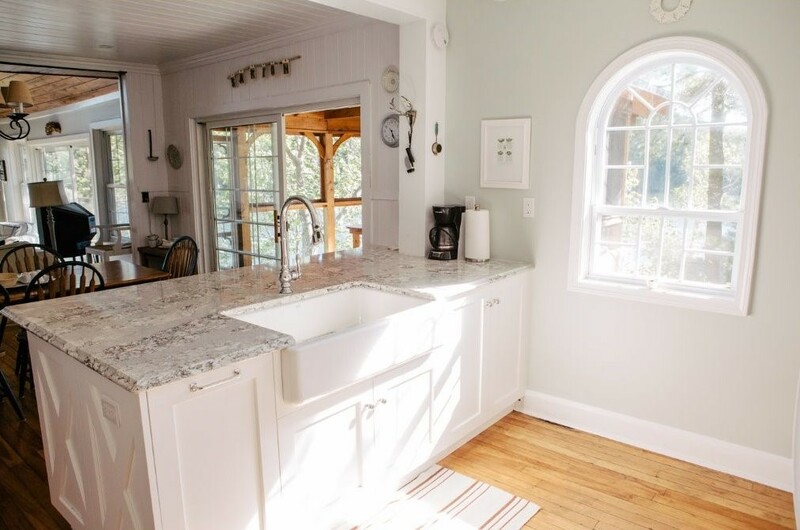 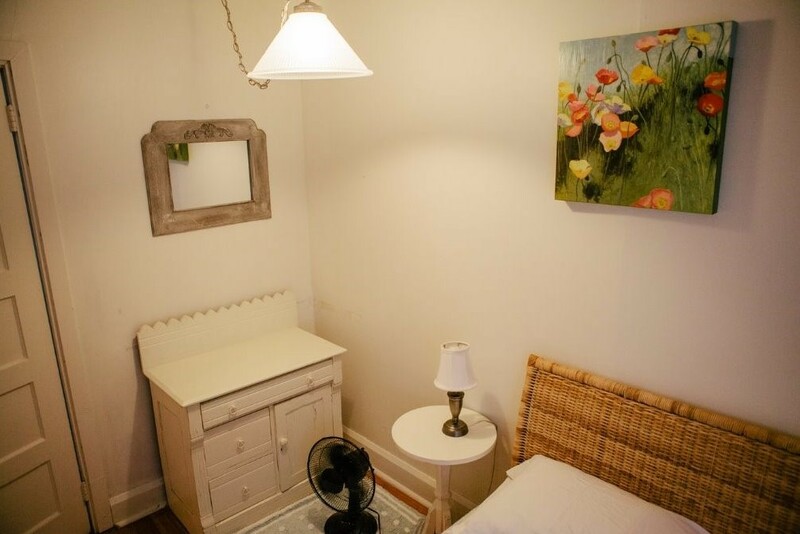 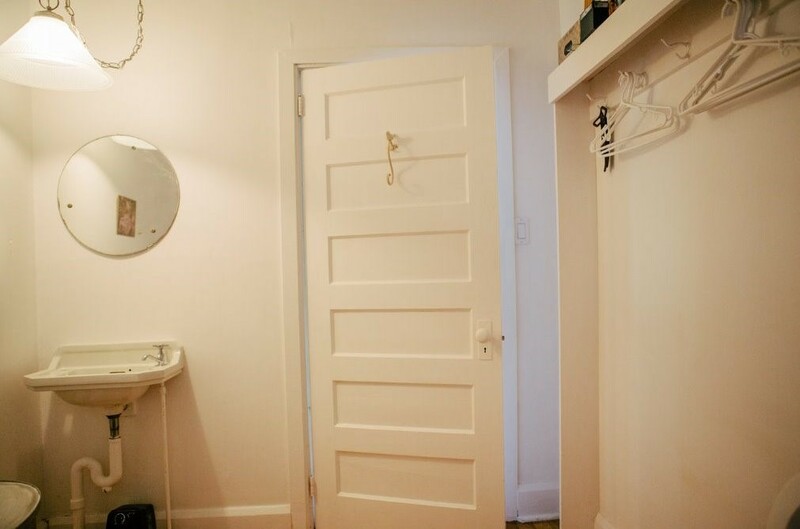 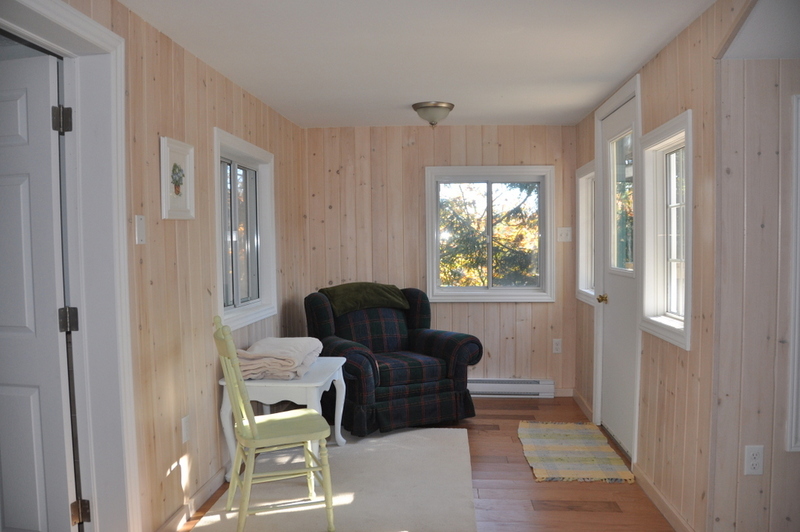 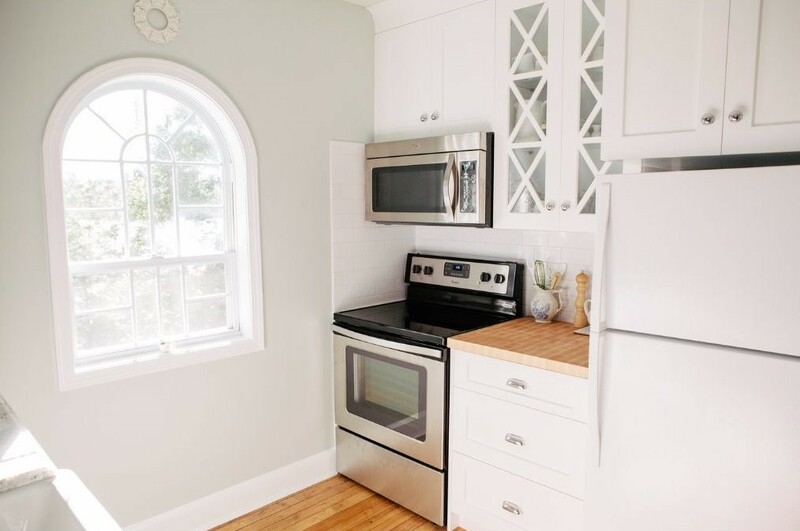 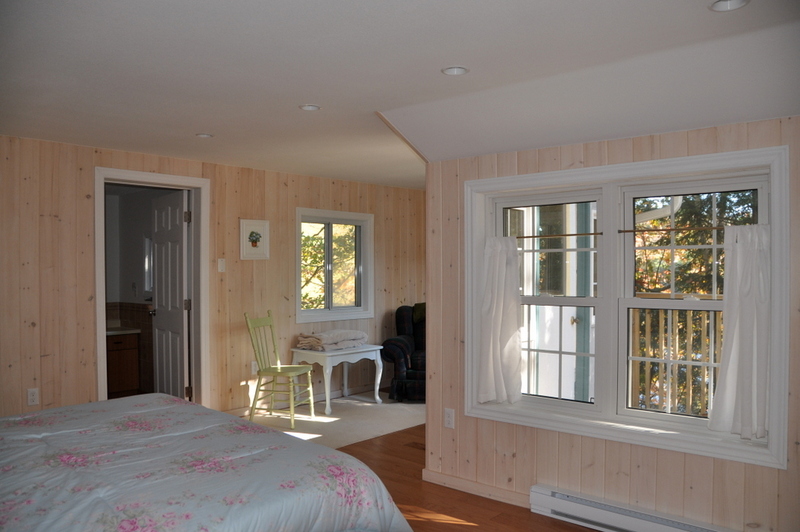 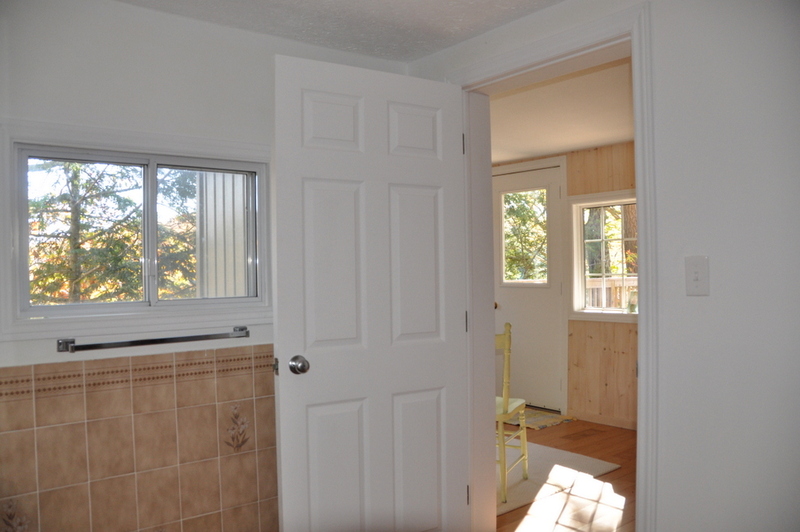 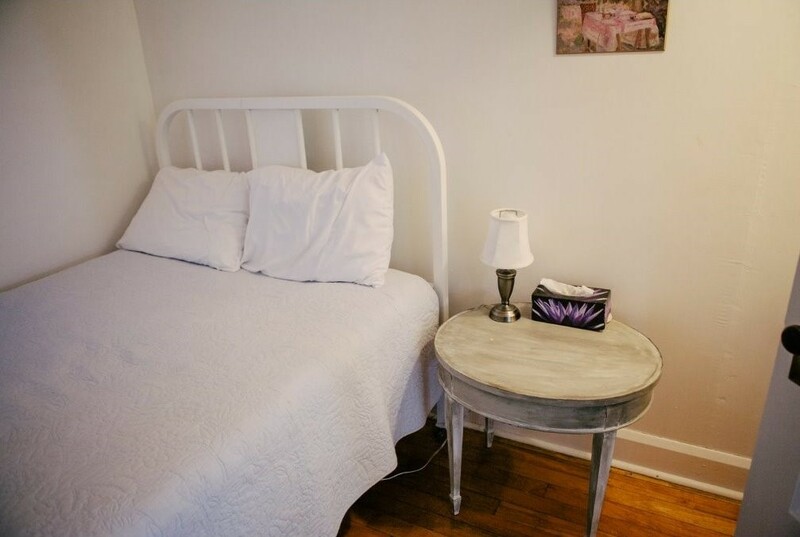 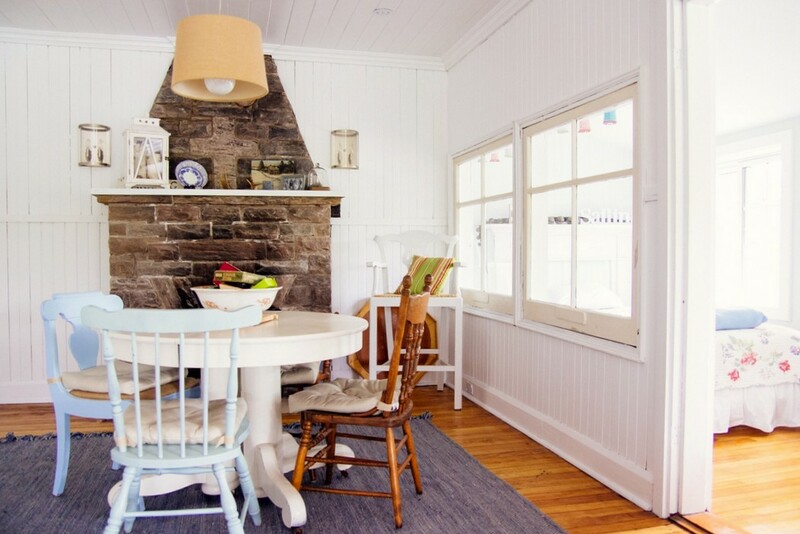 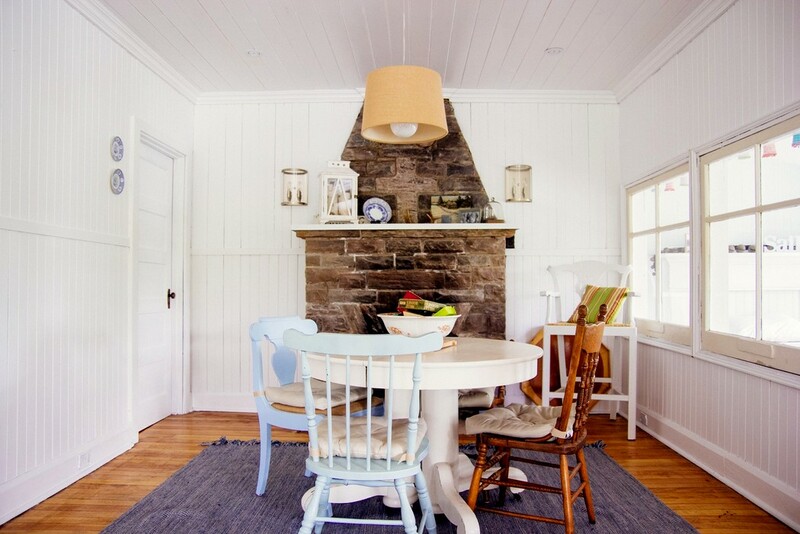 The main cottage consists of 3 bedrooms, a cozy living room and an open concept kitchen and dining area. 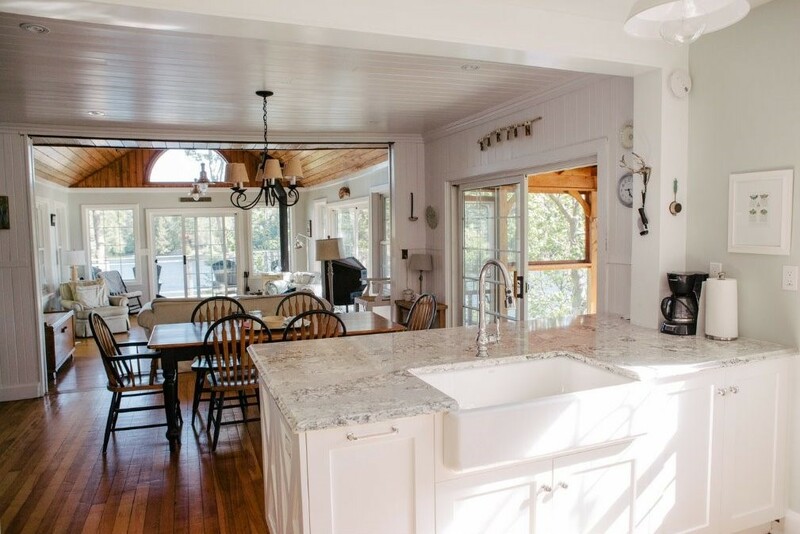 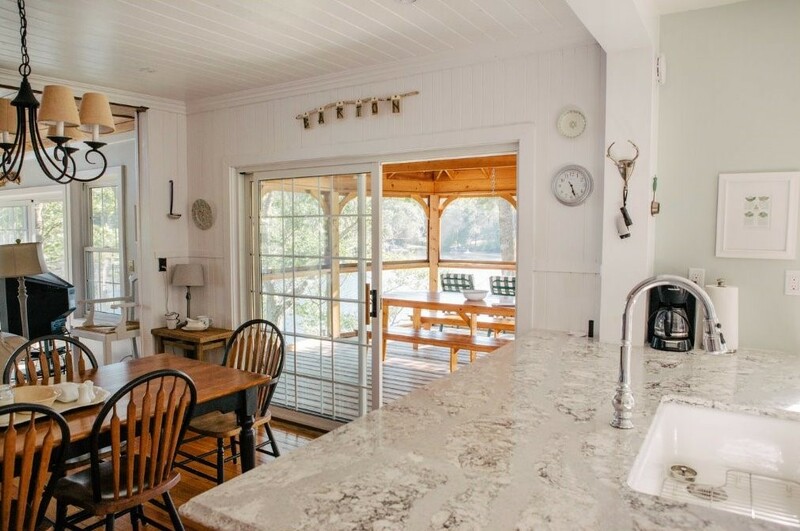 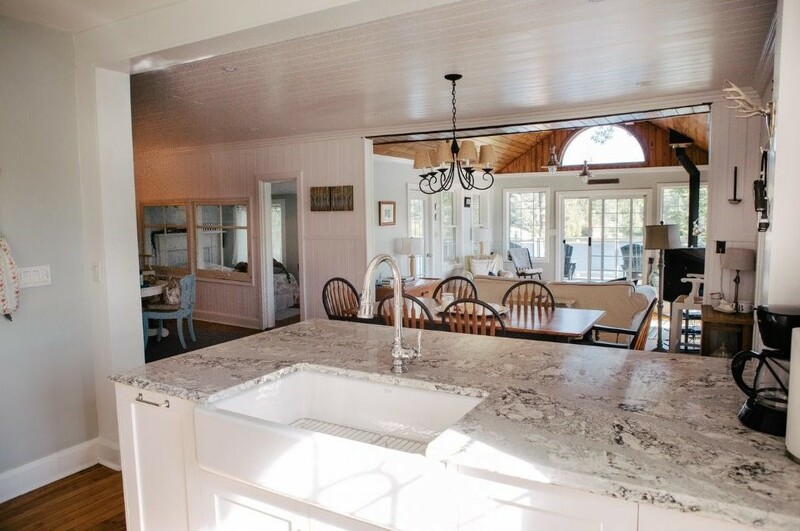 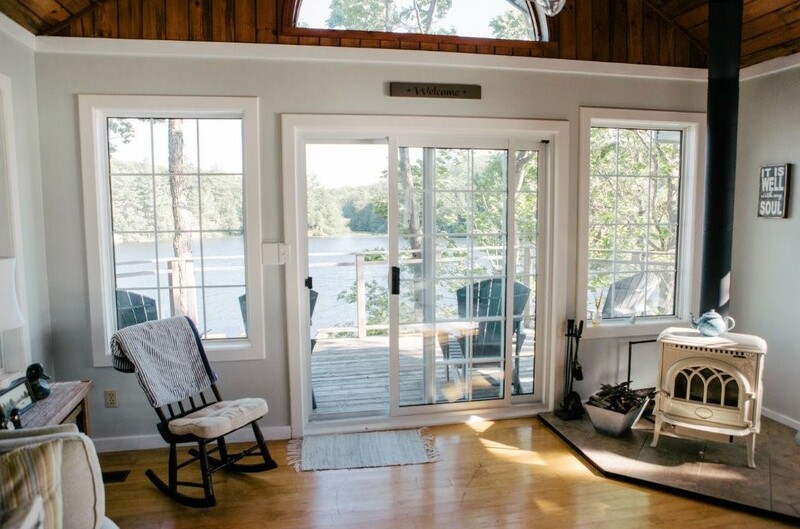 Family dinners or gatherings can be enjoyed inside at the dining room’s harvest table or out on the picnic table in the quintessential and inviting screened-in Muskoka room overlooking the lake. 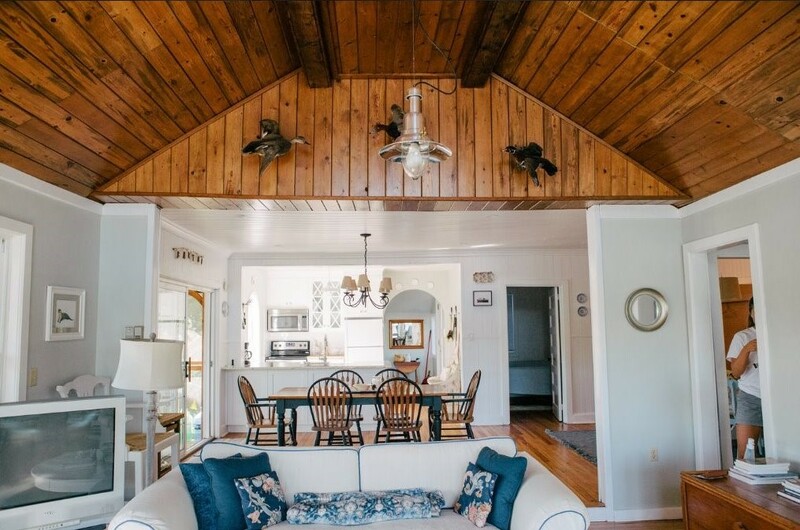 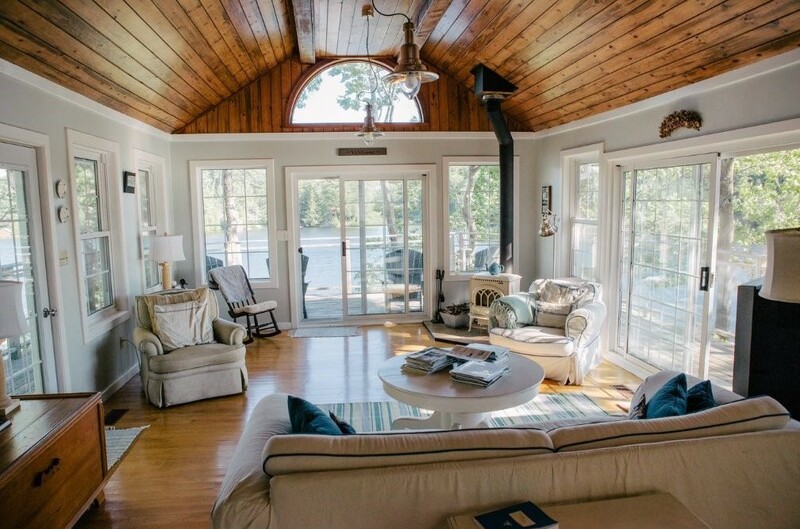 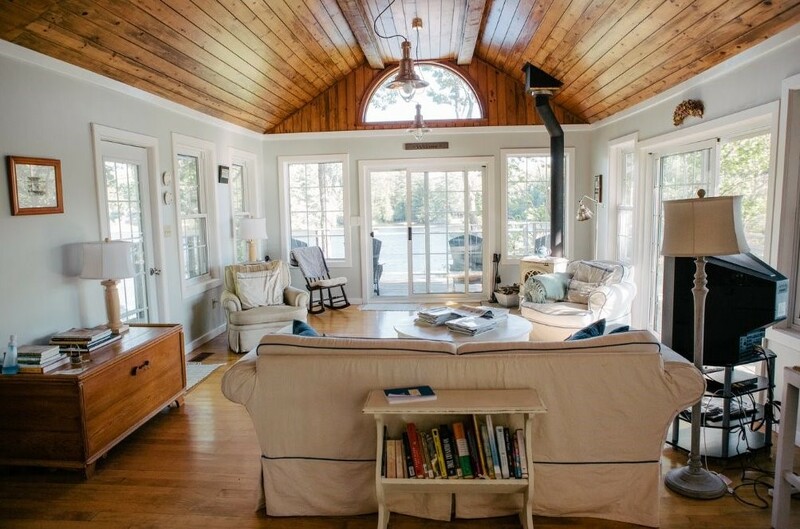 The family room, which extends out past the dining area, is the pièce de resistance with its vaulted pine ceilings and spectacular lake views from all three sides. 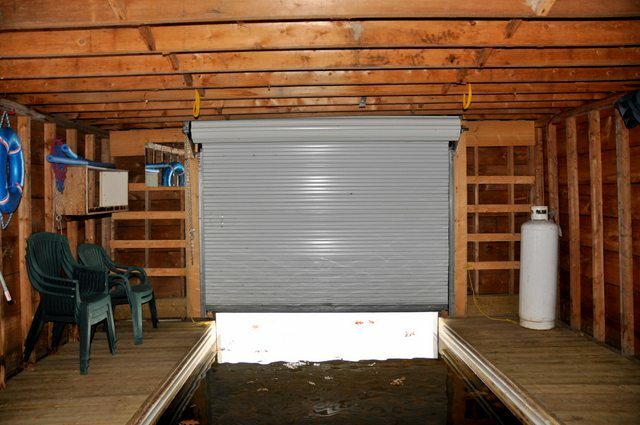 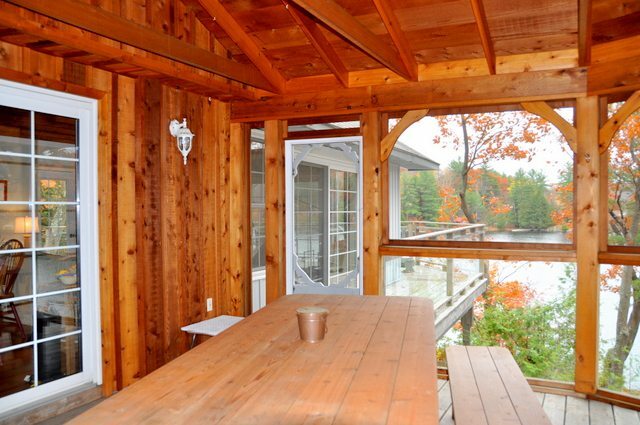 Although the interior is open and bright, the large walk-out wrap-around deck beckons to be enjoyed morning, noon or night. 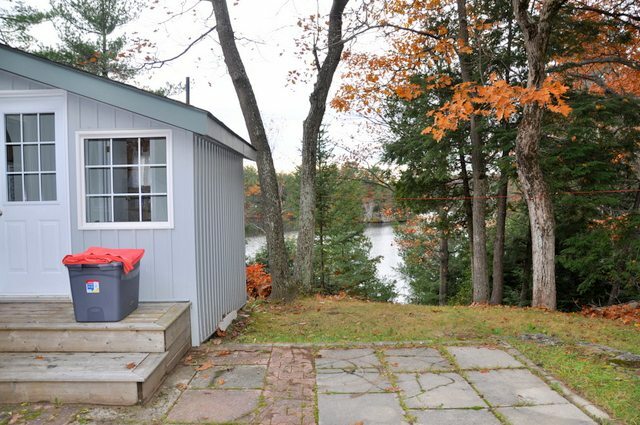 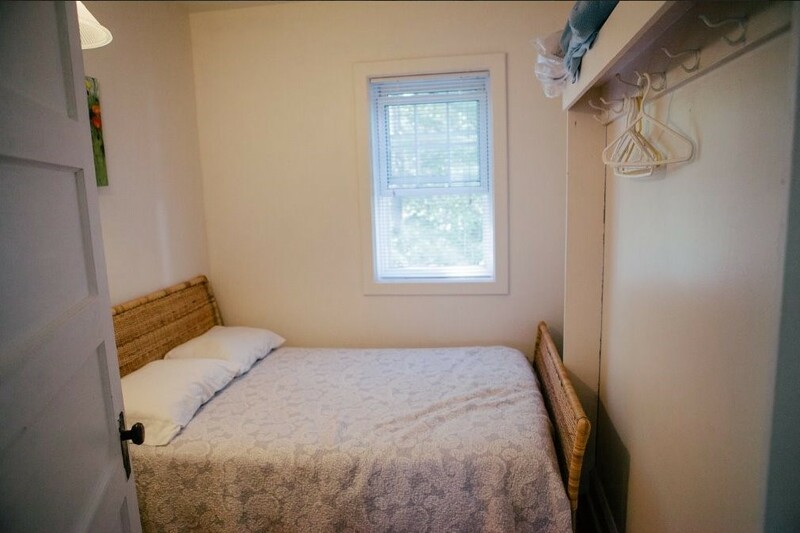 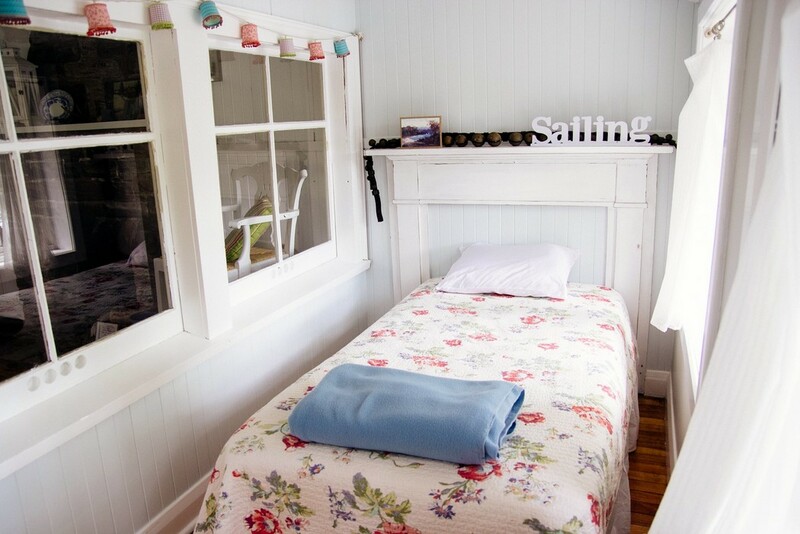 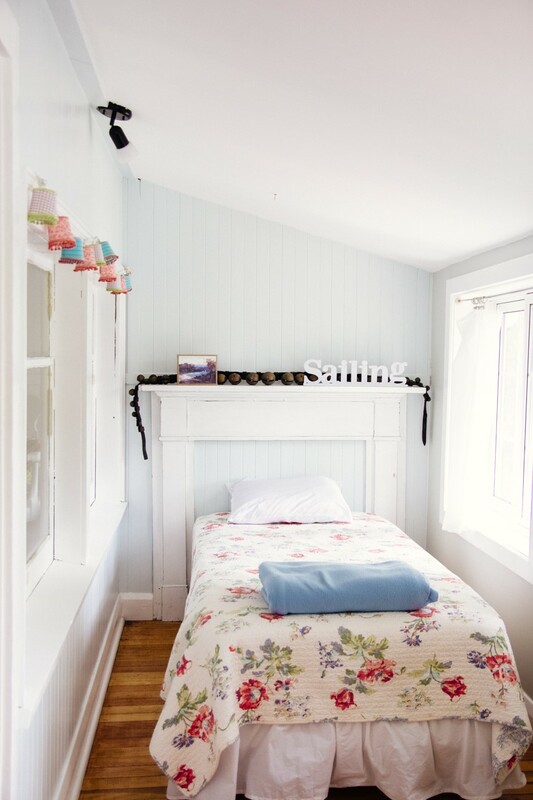 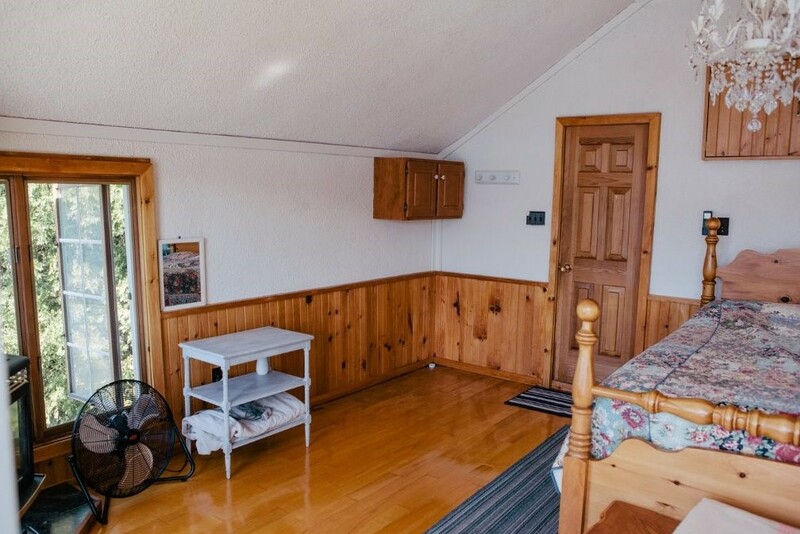 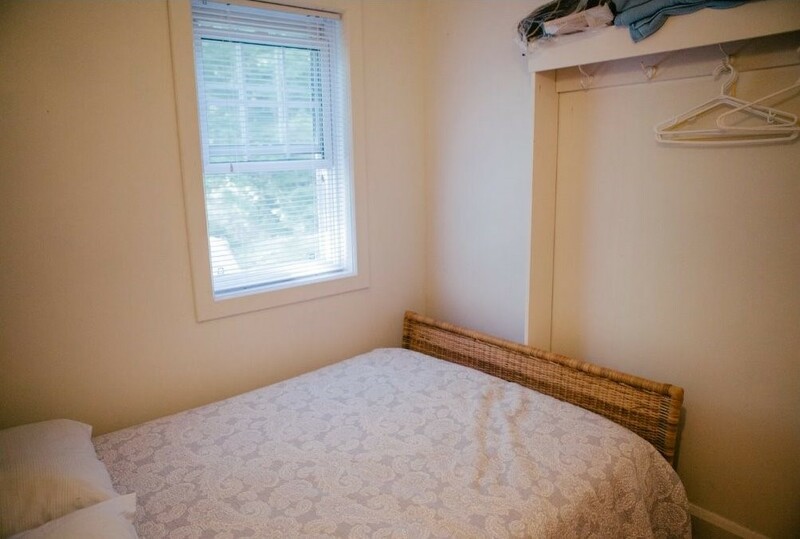 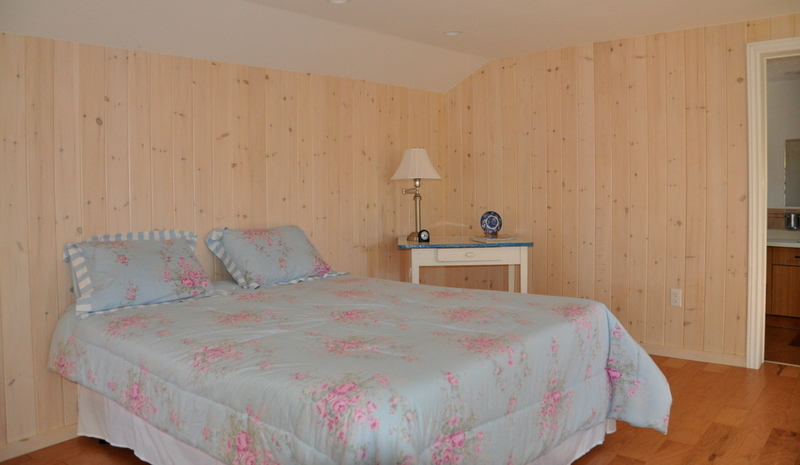 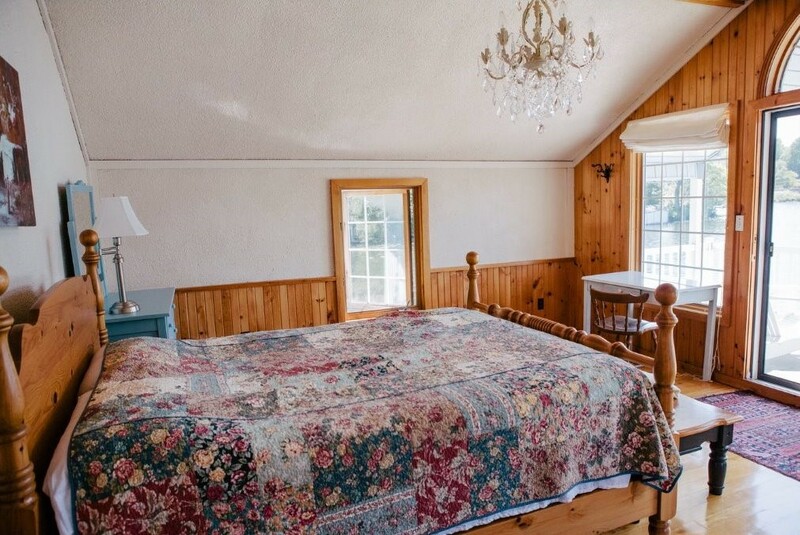 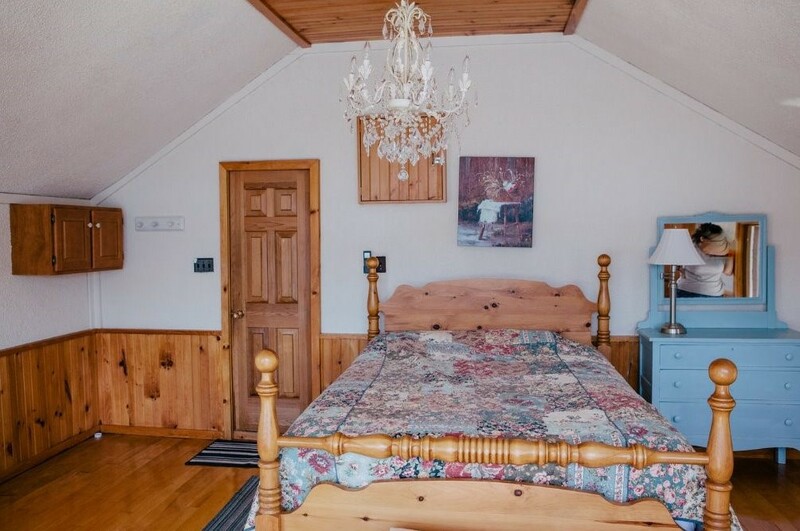 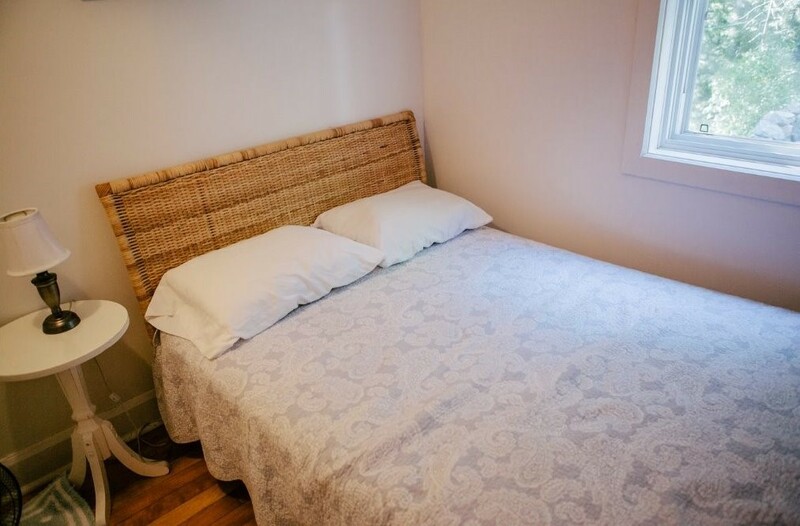 The Bunkie is located adjacent to the main cottage, with a spacious bedroom and bathroom, making it ideal for the older children or other family members to enjoy a sense of independence and privacy. 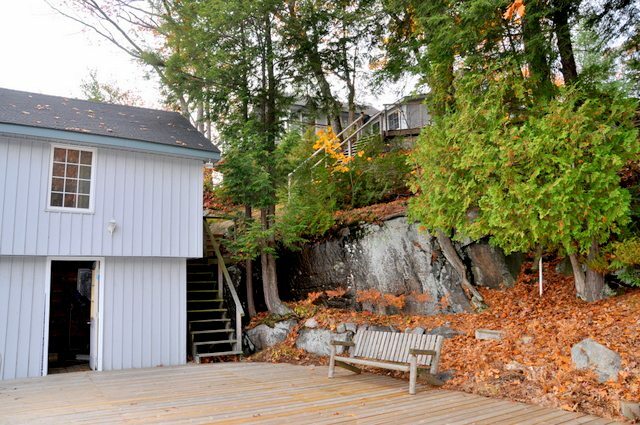 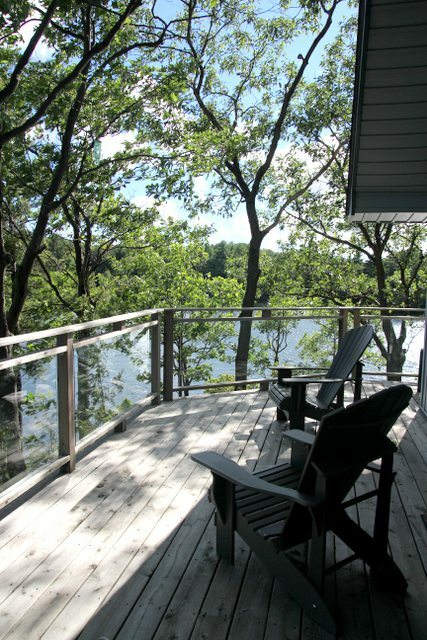 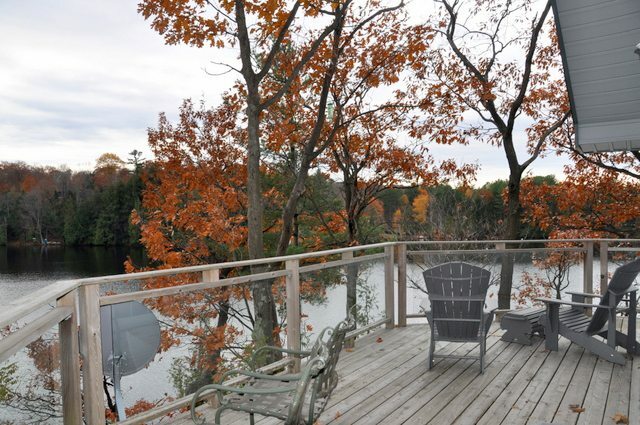 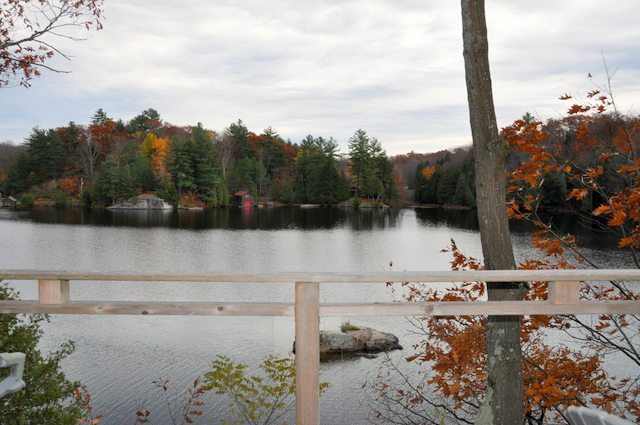 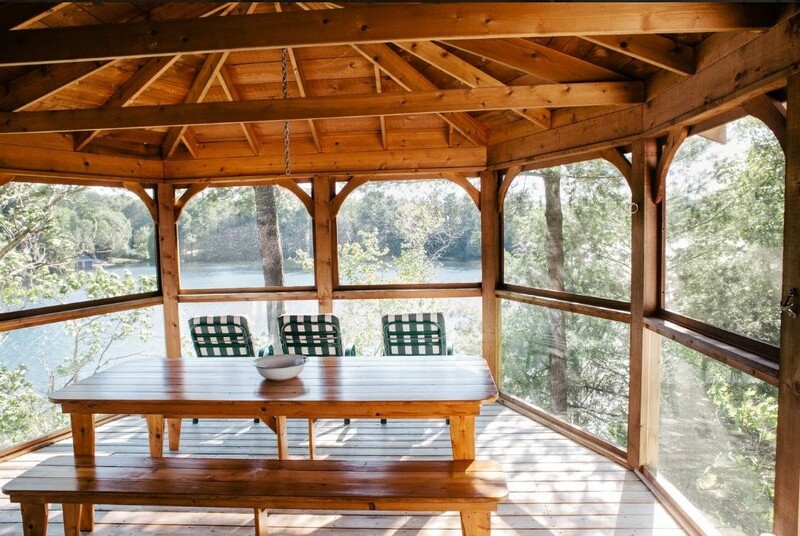 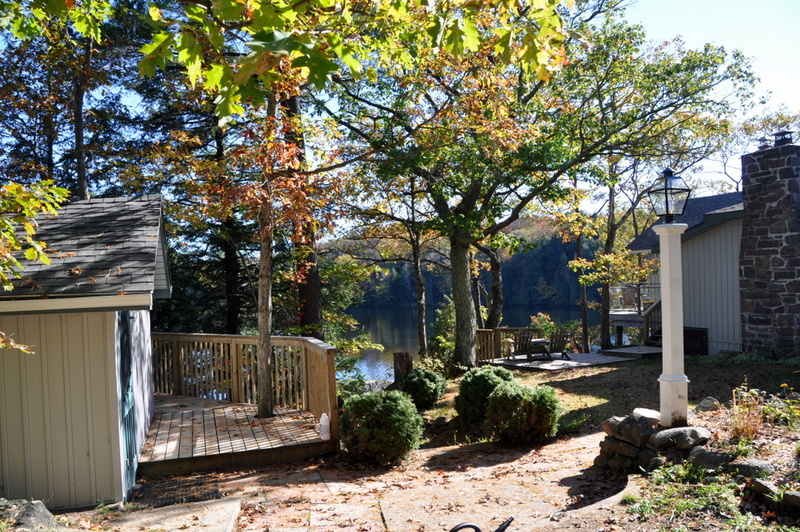 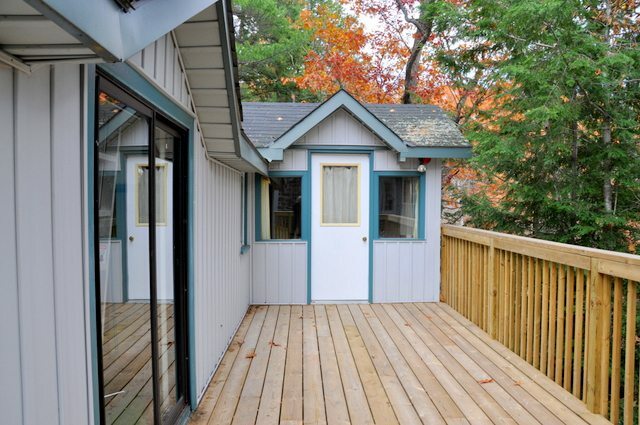 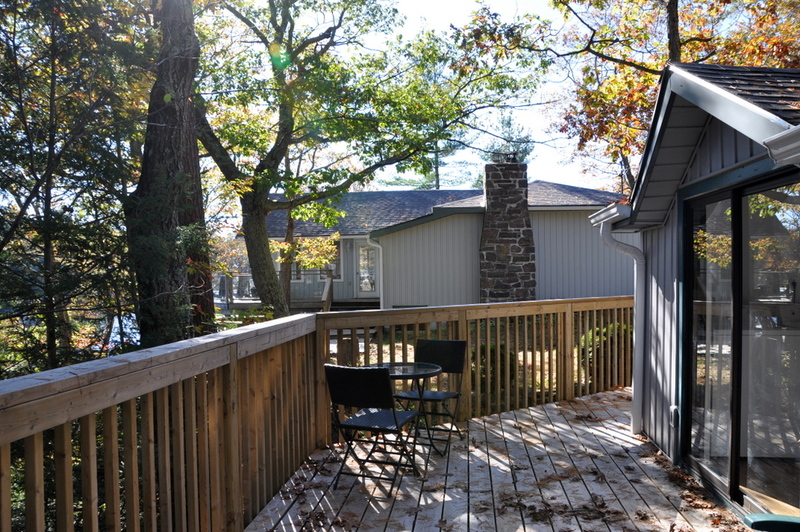 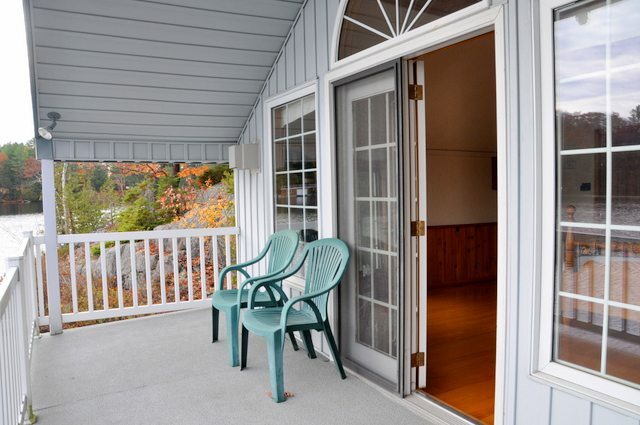 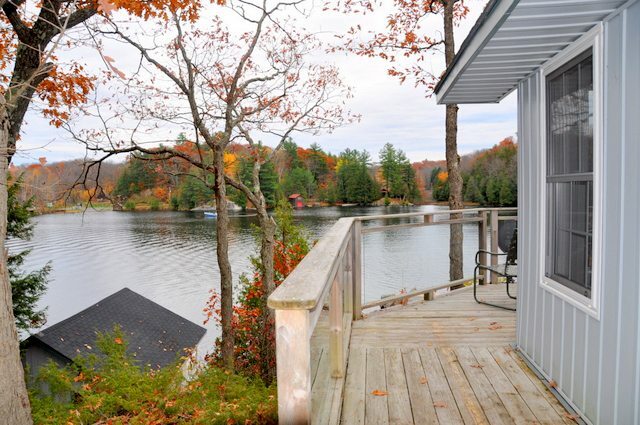 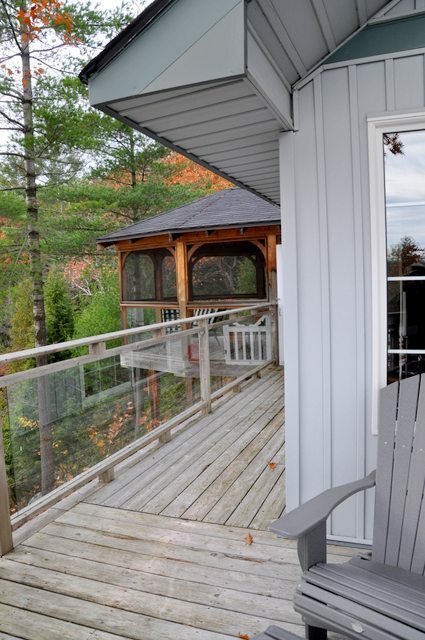 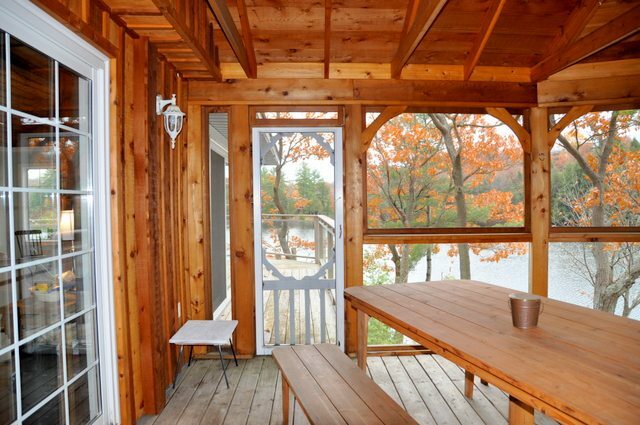 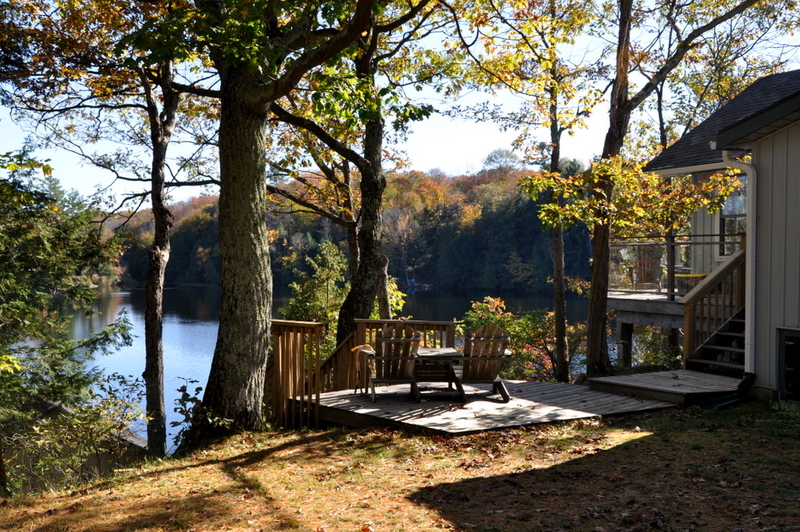 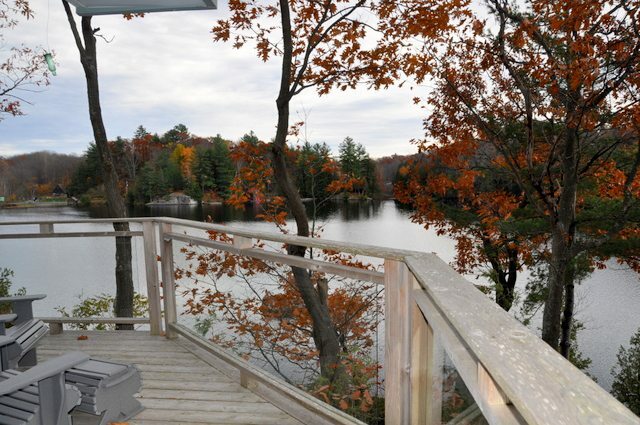 It too has a large walk-out deck overlooking the lake. 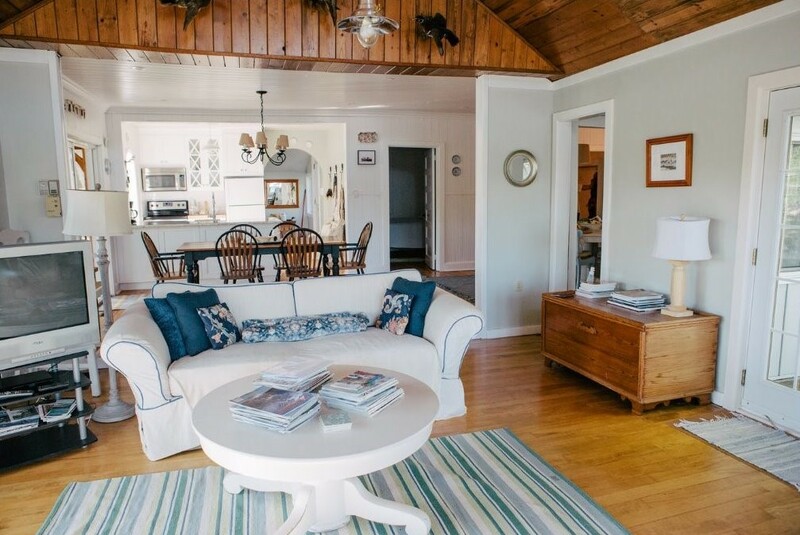 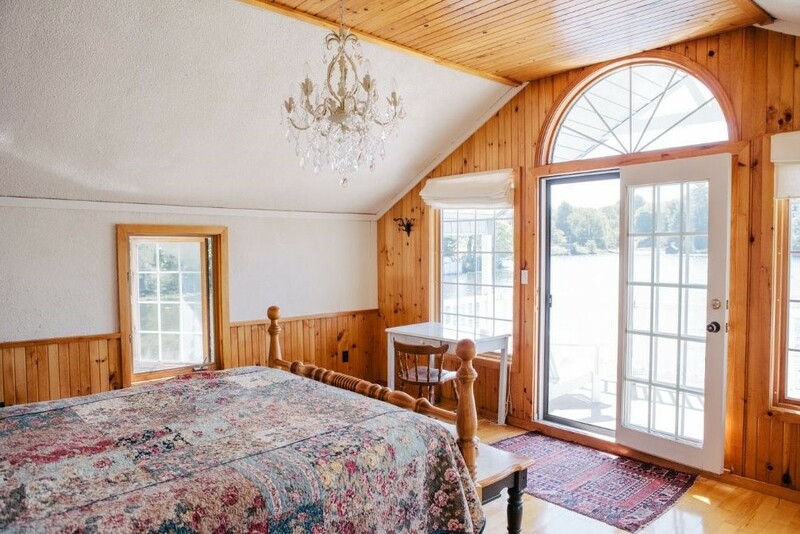 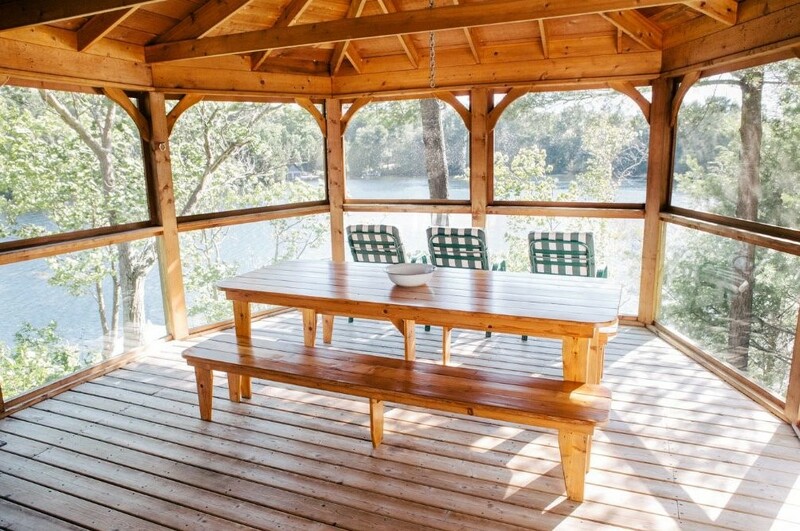 Wooden steps lead down to the boat house where you will find the perfect private bedroom retreat.with a walk-out covered deck, it is made for enjoying sunrises or taking in the sunsets while being lulled to sleep by the haunting call of the loon. 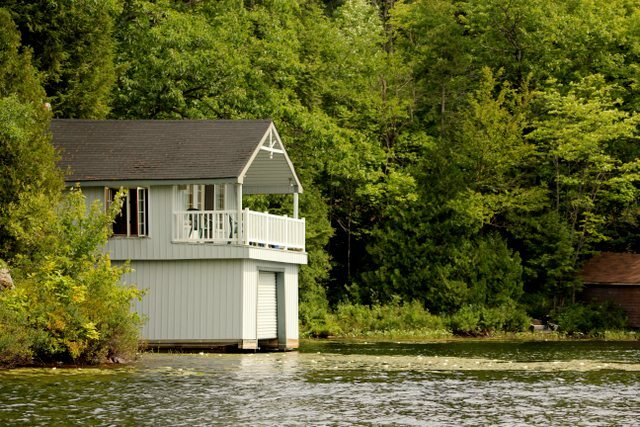 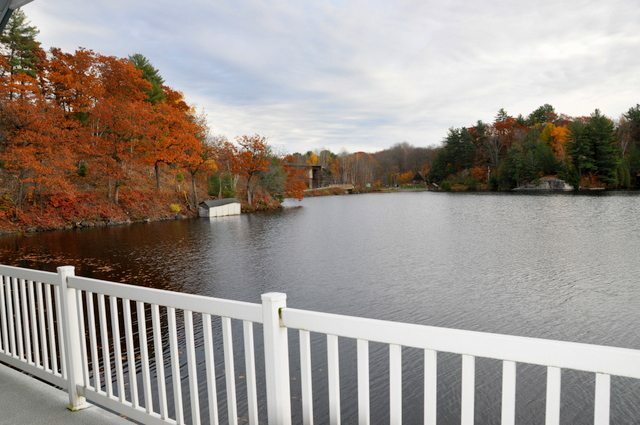 Enjoy the lake from the large dock beside the boat house. 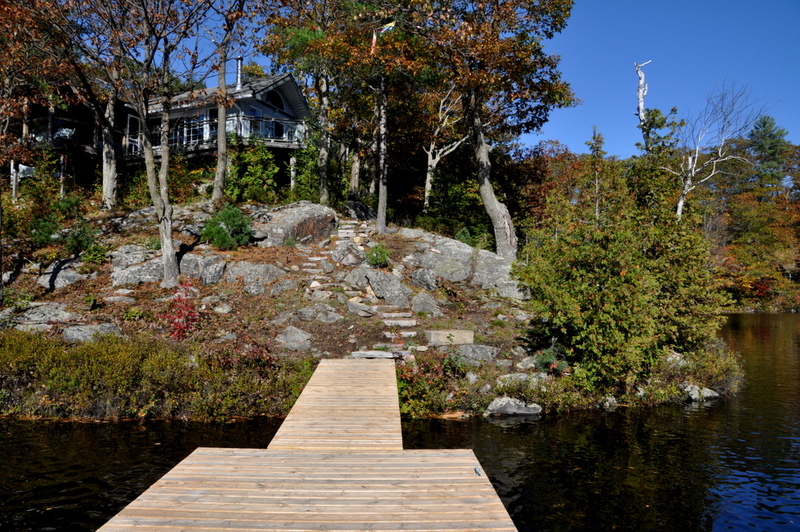 The exposure here is south to ensure plenty of sunshine to pass away the hours lounging or swimming off the end into the deep clear waters. 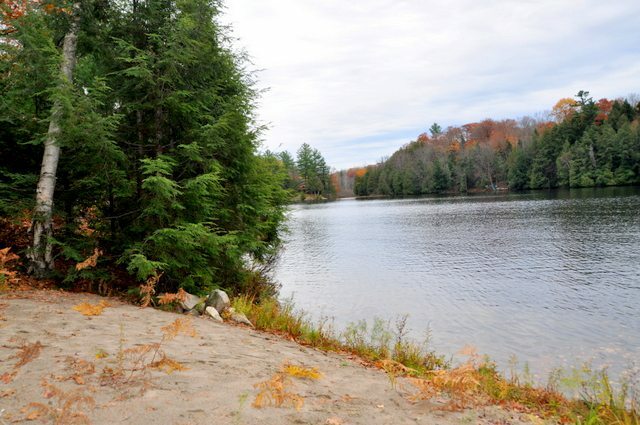 On the other side of the point there is a small sandy beach, perfect for the younger children to splash around in as the water is shallow and the sand is hard packed. 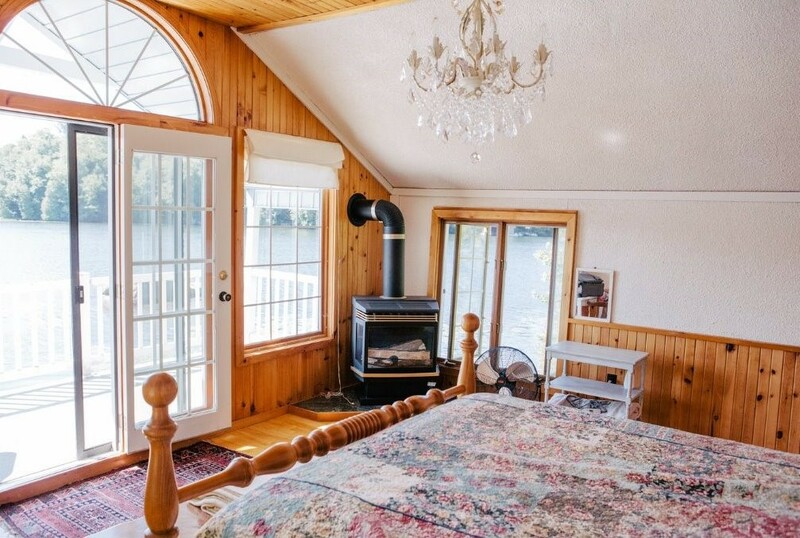 But for those that just want to chill and catch up on a great novel, tuck away into one of the hammocks on the property, take in the great views of the lake and while away the afternoon. 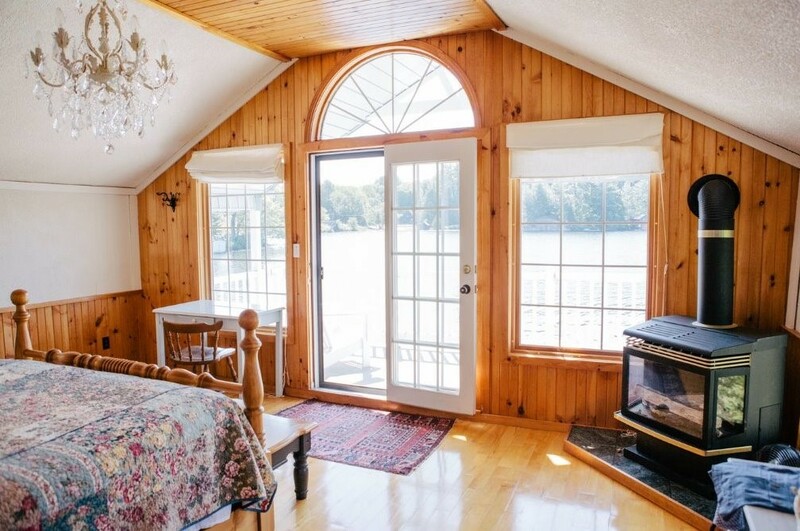 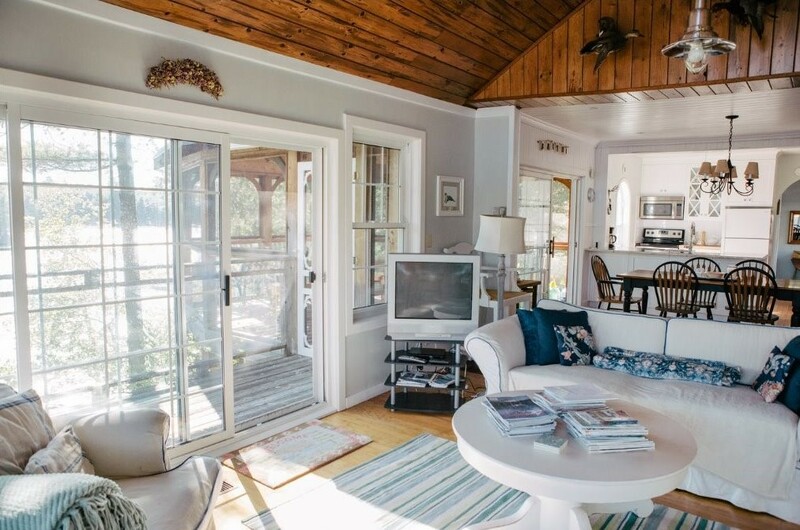 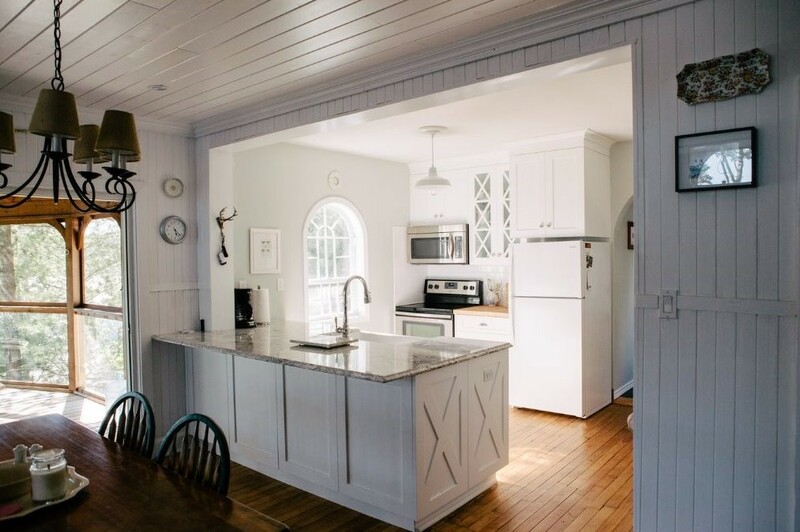 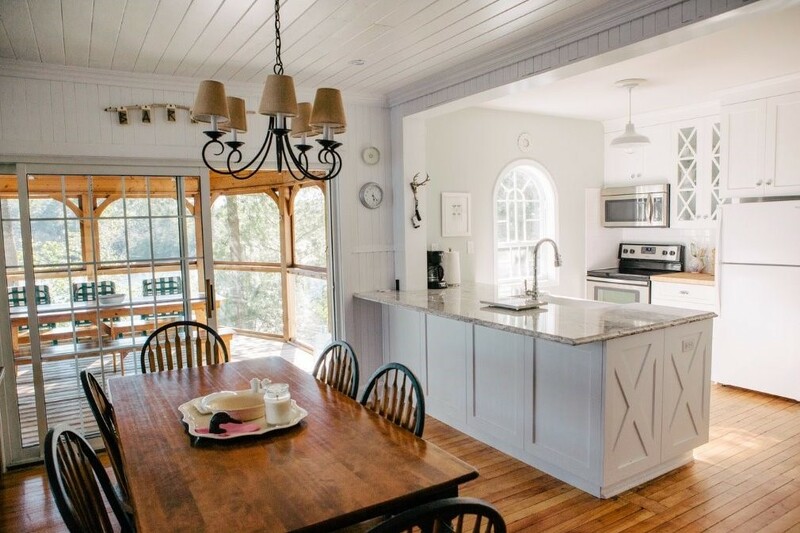 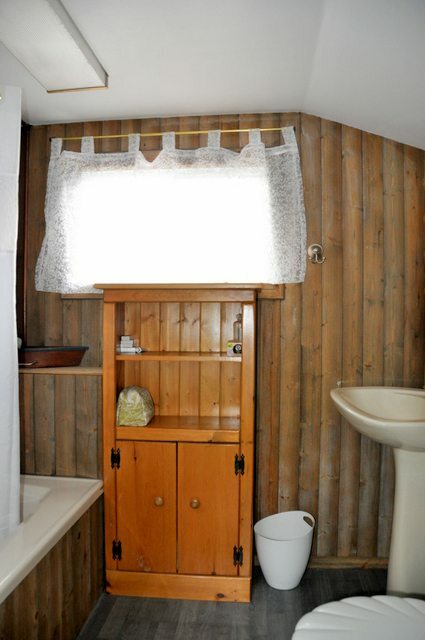 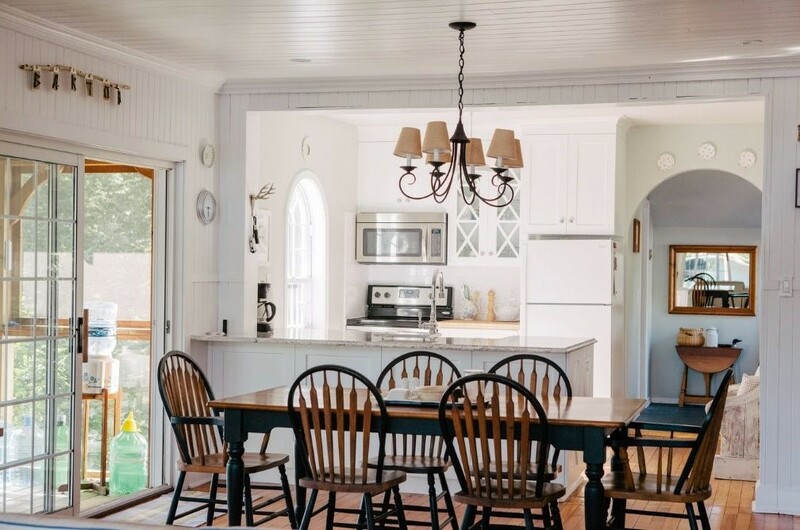 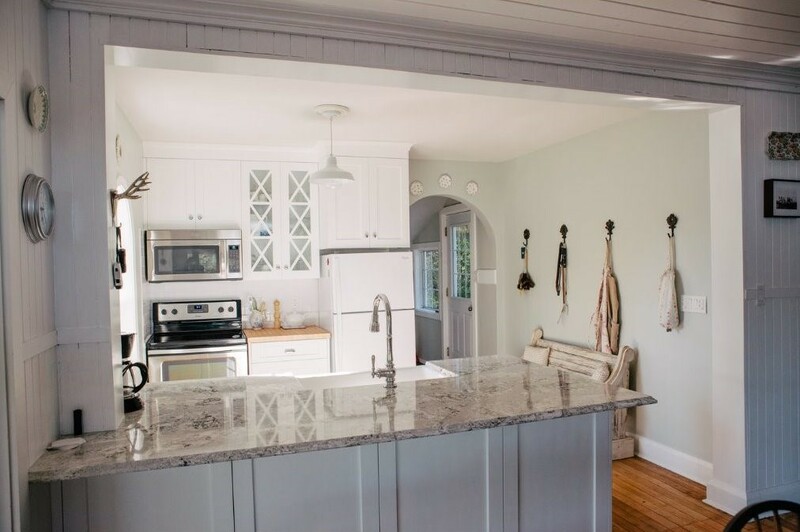 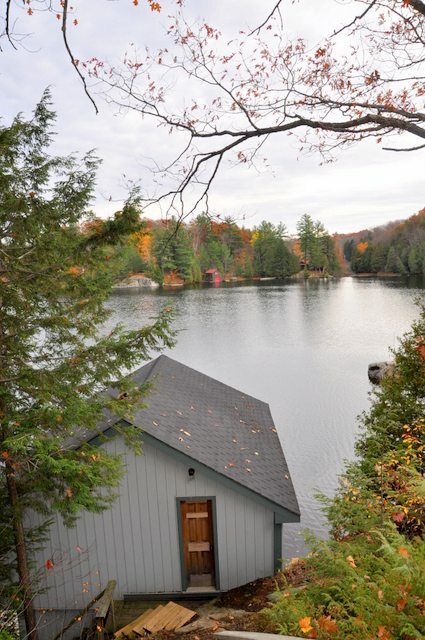 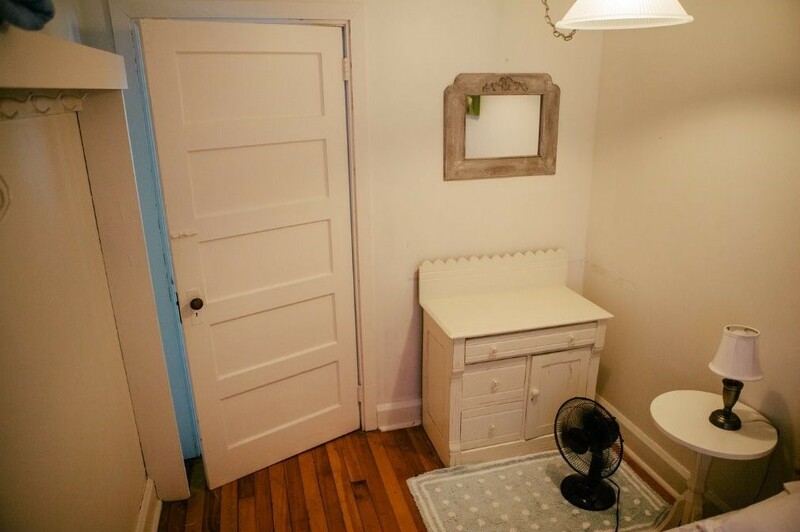 This cottage vacation property is sure to please the entire family(s). 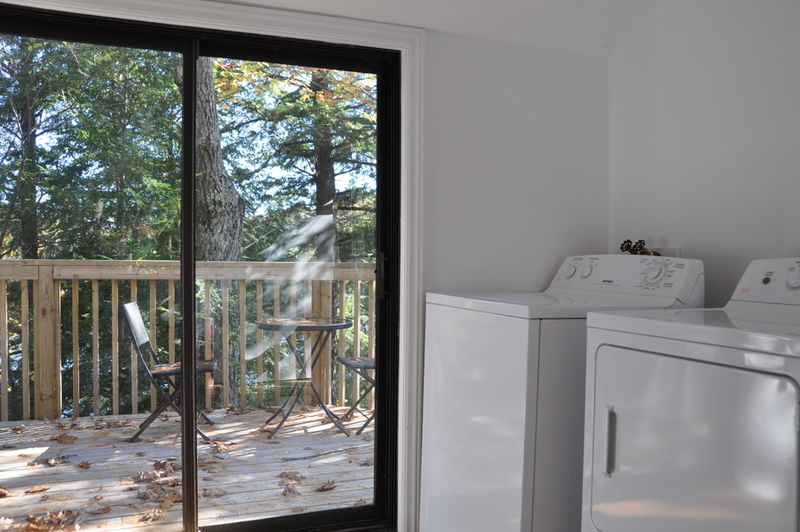 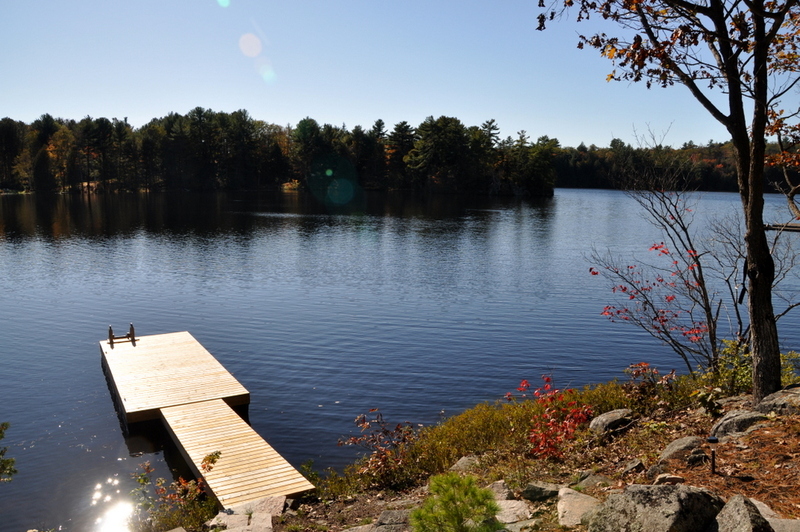 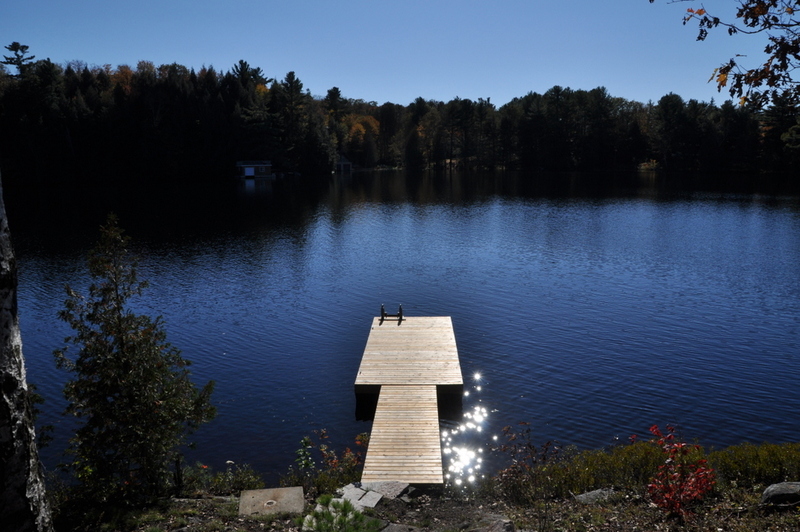 Kick back, relax and enjoy cottage life, and become re-acquainted with your family…and yourself! 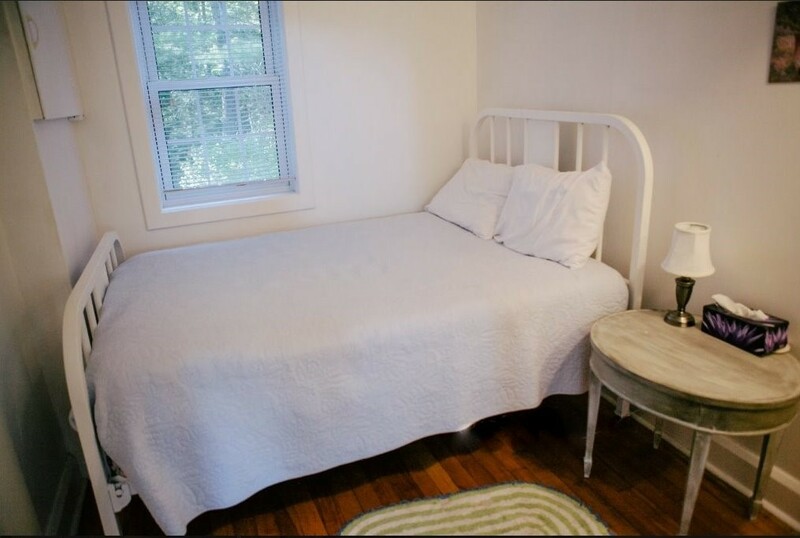 No pets, no smoking, maximum number of occupants is 8, bring own linens and towels, bring own drinking water, noise restriction after 11 PM. 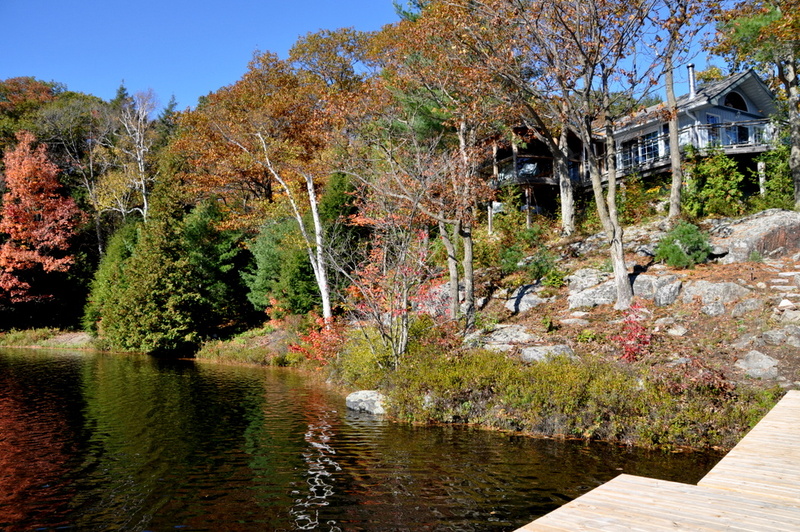 Please note that there is a railway track adjacent to the cottage.